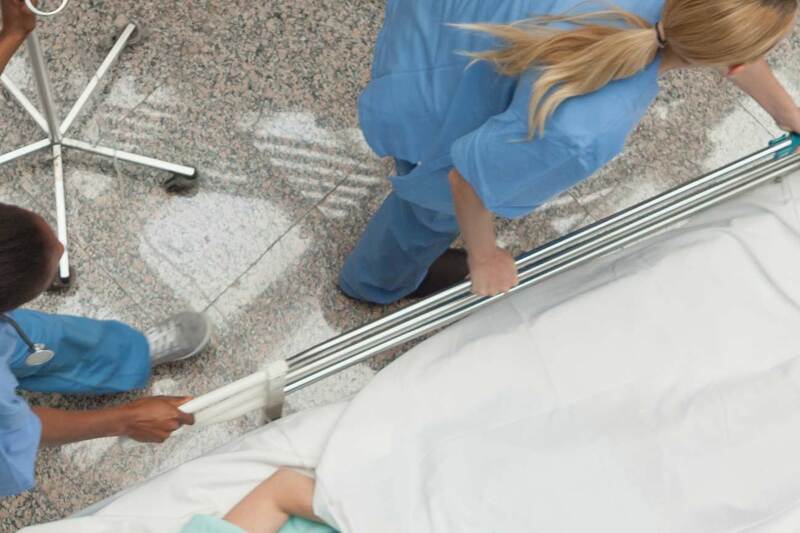 For 60 years, Techlem has provided patient handling solutions to hospitals and clinics around the world. 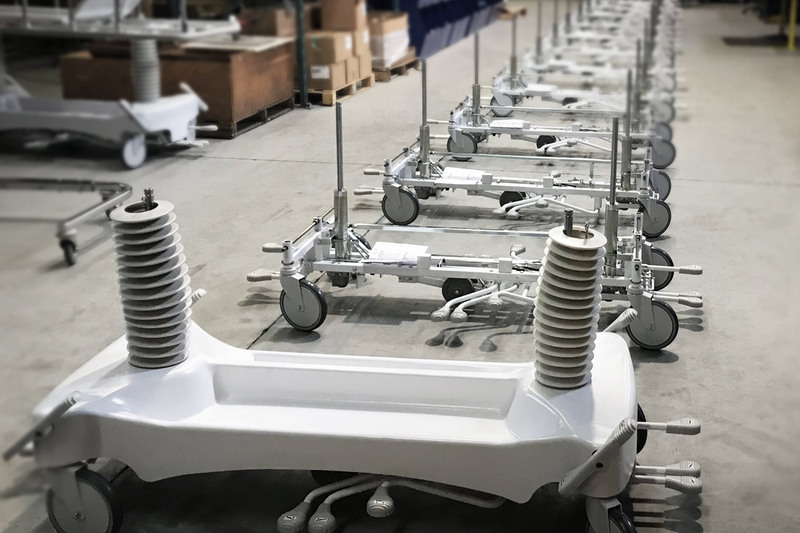 From our first stretcher prototype to our most recent full hospital outfit, we've strived for value, efficiency, and care. Our products are proudly North American made with the highest quality components, delivering industry best costs of ownership. We are your supply chain partner. Our passionate staff work tirelessly to produce durable, high quality products with customer service to match. We create unique, user-friendly catalogues for our supply chain partners, bridging the gap between purchasers and end-users. Why choose to partner with Techlem? Because of our commitment to finding the most useful, cost effective, and personalized catalogue program for every customer, retail or group. Why choose Techlem stretchers? Because in quality control, durability, cost of ownership, and value over time, they are the envy of the industry. A premium stretcher with personalized features to accommodate your every need. 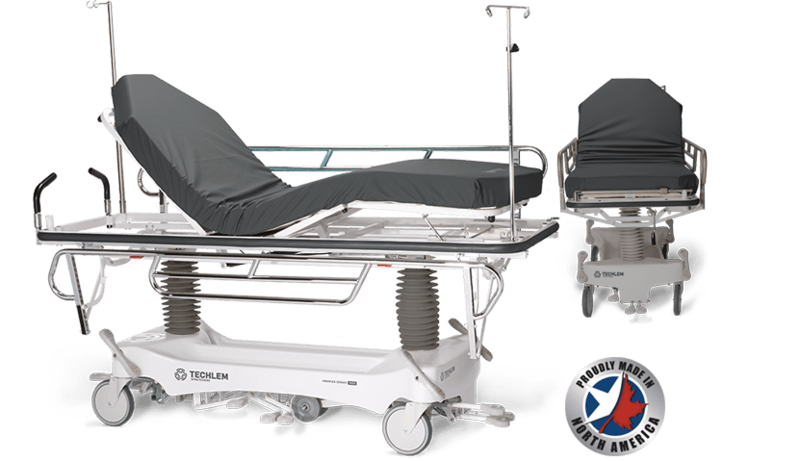 For 60 years, the Techlem chassis has performed expertly in varied medical environments. These 60 years of partnerships are testament to our proven reliability. Striving for decades of stretcher use, we provide inexpensive replacement options for even the smallest components through to patient surfaces. What makes a Techlem stretcher so special? Pneumatic fowler lift and lower assist with CPR mode for patient safety and ease of use for medical professionals. 90-180 degree settings for optimal patient comfort during extended stays. 5 wheel system with Accu-Steer 5th Wheel for movement assistance and four corner brake/steer controls. For knee circulation and patient comfort. 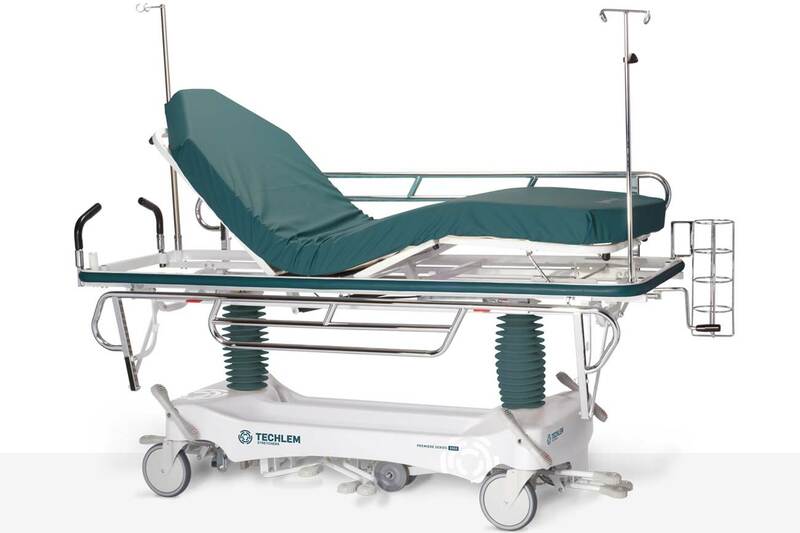 Popular on Techlem's transport, trauma, and extended stay models. 14 (and counting) color accents for bumpers and department identification. Logo decals for supply chain partners and independent end-users. 4-sided access to raise, lower, Trendelenburg, and reverse Trendelenburg pedals. Exceptionally useful in clinical and operative environments with limited space. For patient safety and ease of access for medical professionals. Ergonomically installed with safety and functionality in mind. Chromed to sustain form and cleanliness through years of use.